We and others have lots to say about the new movie Passengers, and with good reason. It’s an incredibly weird movie, especially considering what you might expect from the trailers. But from a purely science fiction design standpoint, it’s undeniably beautiful, and the director told us one of its little secrets. 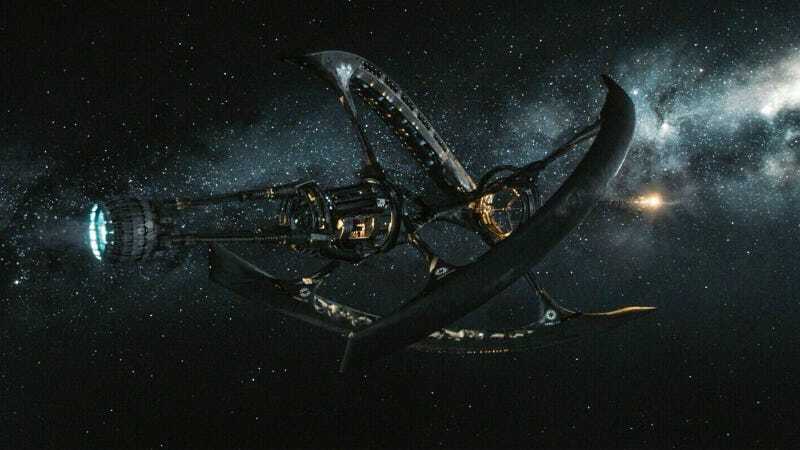 The entire film is set on a ship called the Aurora, which is traveling 120 years into space so that 5,000 passengers can repopulate a new planet. Basically, the ship is a character unto itself, and that made its design crucial. “Unique” is exactly what it is, considering the source. Here’s what Tyldum told us. The actually design of it came from this boat that goes between Alcatraz from San Francisco. We were out there just to see confined places. Like claustrophobia. I like to be inspired by that. Then the production designer [Guy Hendrix Dyas] took a picture of the antennae of the boat, and says, “That is a cool design...” So the turning of the lights [on the ship]? That was the antennae of the ship that goes to Alcatraz. Update: Reader David del Rio pointed out that the antennas in question could be from this ship. But, it could be this ship too.